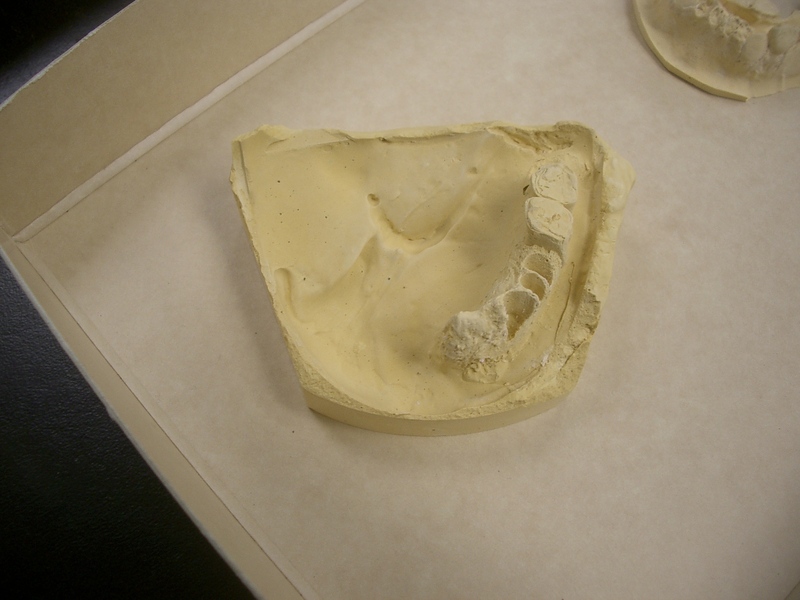 This week, the individuals we excavated this summer saw a dentist. This is not as silly as it may sound. The various individuals whose burials we excavate at Nuvuk are not kept in a museum somewhere for future study. That is the way things were done in the past, but nowadays that is not acceptable to most descendant communities (people who consider themselves descended from the individuals whose remains are in question). There are laws specifically to protect Native American graves, as well as laws which protect all graves regardless of the ethnic origin of the occupant. This is a good thing, but it does mean that either research has to be completed very quickly, or new ways to save data for future research need to be found. The current residents of Barrow, some of whom are the children of people who grew up at Nuvuk, generally think people should be left where they were buried, absent a pressing reason to move them. In general, I agree. My primary research interests don’t involve digging up burials, which makes it odd that I’ve been involved in excavating over 70 of them at Nuvuk over the years. 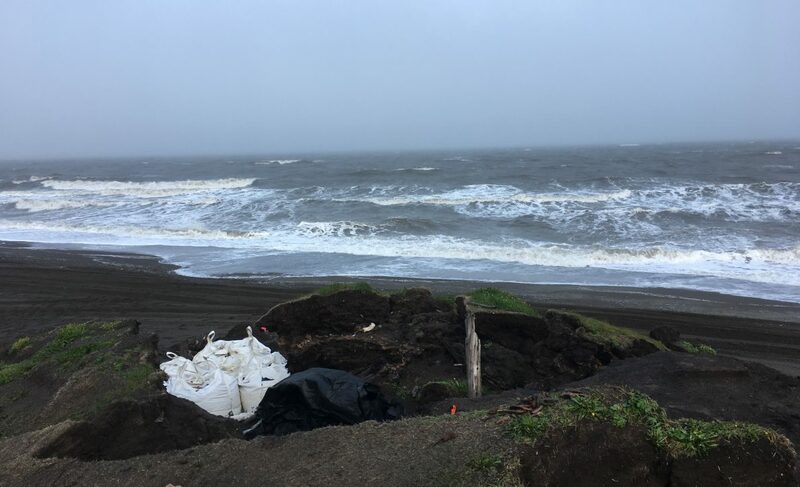 The thing is, the point is eroding, and if the graves aren’t excavated and moved, their occupants will wind up in the ocean. So there is an urgent reason to be doing these excavations. Since they are happening, most folks in Barrow agree that it makes sense to learn as much as we can about the individuals, prior to reburying them in the Barrow cemetery. I’ve mentioned that a rib is saved for aDNA extraction, which takes place in Dennis O’Rourke’s lab at the University of Utah. Everything else happens in Barrow. For a number of years, the Dental Clinic at Samuel Simmonds Memorial Hospital has sent one or more dental externs (dental students who have come to Barrow to get practical experience in the clinic) to work with the Nuvuk Archaeology Project for a day or two at a time. Sometimes they have come to the field with us, but their primary role has been in the lab, where they examined the teeth of the various individuals whose remains we have recovered. 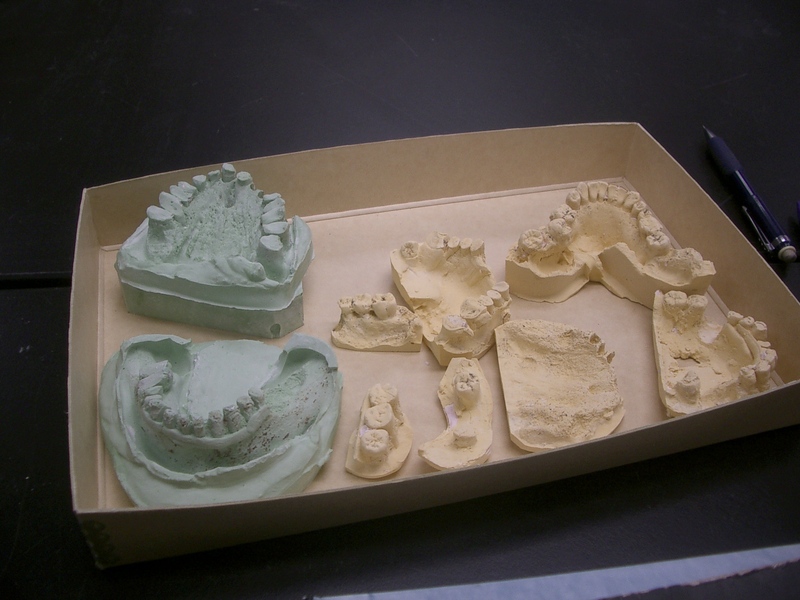 In addition to recording the teeth on standard dental charts, including information on disease and anomalies, they have made casts of the teeth, just like the ones dentists make of live patients in their offices. The idea came Amanda Gaynor-Ashley, DDS, until recently head of the dental clinic, who was visiting the lab a few years ago and noticed that some of the skulls had unusual dental patterns that looked just like those she was seeing on patients in the chairs at the clinic. Dentition (shape and arrangement of the teeth) is highly heritable (it runs in families). Since the individuals we were looking at were going to be reburied, Mandy suggested trying to cast their teeth. It worked well, and each since the externs have done it for the individuals excavated that year. 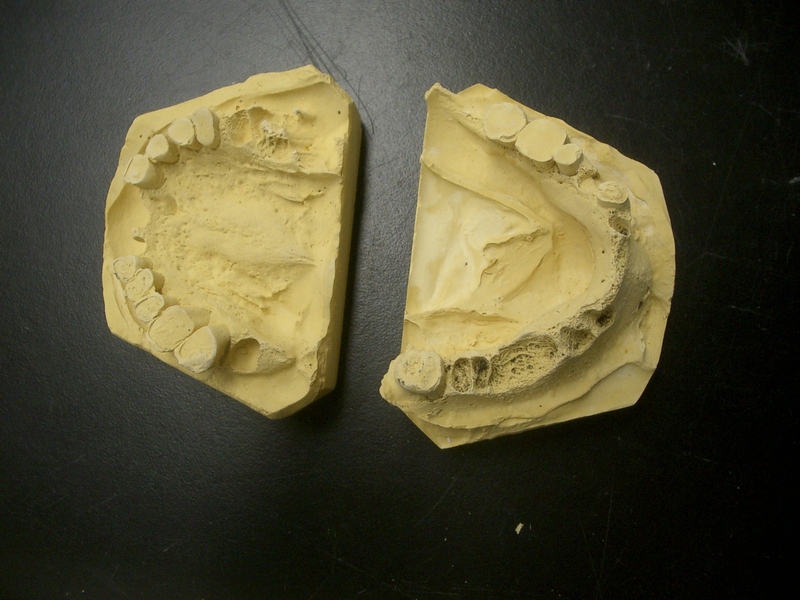 Even after they are buried, we will have an accurate representation of their teeth for future researchers. 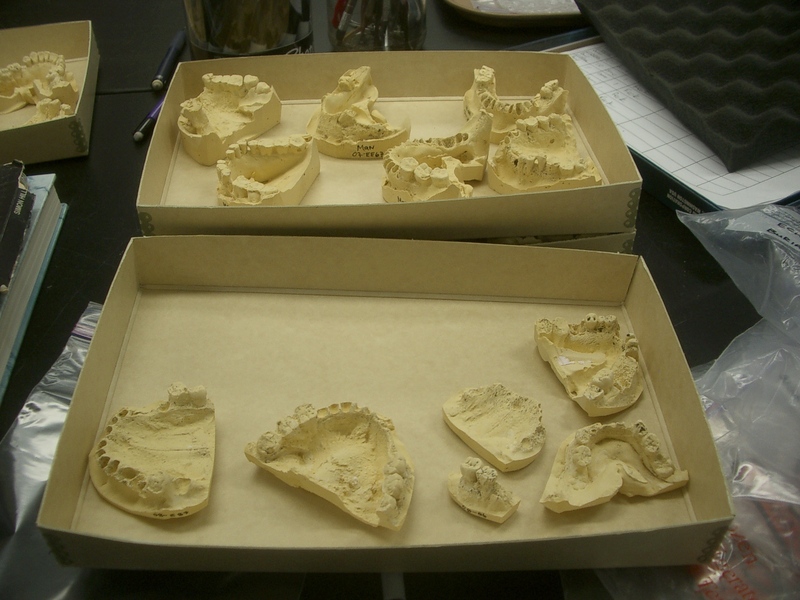 Since we started doing this, I stumbled across a mention of a collection of dental casts of living Barrow residents which was made by a researcher in the 1950s. It apparently still exists, so the casts we are making as part of the NAP may well have an important place in a future research project. Some of the casts from previous years. Later this week, Shawn Miller, the physical anthropologist from the University of Utah will arrive. We will have to get the casts put away before that to give him maximum space to work.